Grzegorz graduated at AGH University of Science and Technology Cracow with M.Sc. thesis on building a software language compiler. That included analysis of language constructs used in a rare language called Oberon. From that time, analytical thinking about software is “deep in his heart”. During 25 years of professional experience he went from CAD systems into the telecom industry; from C/C++ via Perl to Python; from being a software engineer, a configuration manager, a project lead to a software architect and a Python trainer, where he is today. He works in telecom tests automation, building Python libraries. A main architect of https://github.com/nokia/moler. 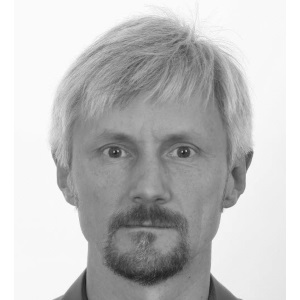 As a Python trainer, he gives Nokia internal trainings and lectures at Jagiellonian University. He helps others by consulting their code, conducting workshops and building communities around that software. He also coaches how to discuss code from a broader view. Test Dive 2017 speaker: Test Automation - step back please. This presentation discusses non-so obvious aspects of code reuse. How many times you have heard management or sales people asking you to “reuse that code” to speed things up or decrease cost? Maybe you’ve dreamed of making your code reusable? Or, maybe you are a manager wondering why those software engineers fail on “code reuse” topic? Do you remember cases when dreams were gone and initial passion was renamed to daily frustration? Do you recognize this real-life business reality? Or maybe your code is sequence of reuse success stories – then this presentation is not for you. But if you bravely struggle, you give your bests and still your code == "no reuse" ;-(… then let me share my story. I will speak from my 25 years’ coding experience, especially from 12 years in test automation. Automation here means building Perl/Python libraries and frameworks. Looking back, I will share my thoughts on code that I have reused (or tried) and code that I’ve made reusable. Doing it with hope that my sharing helps on yours “reuse path”.